Number identification can be annoying to teach- there I said it. Sure, I could simply create a wall chart and tell my kids to stare at it until they know all the numbers there or I can use my brain cells and try a fun math game to help. 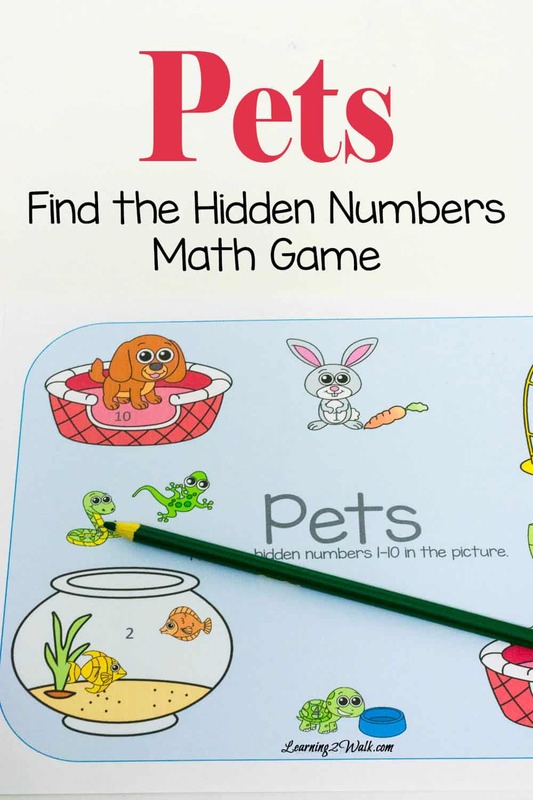 This week’s theme for #TeachECE is pets and so I created a pets math game that both my kids can use. Have you ever asked your kids to identify a number and they tell you something else? Case in point, my son believes that 14 is 1 no matter how many times I say, “No C, this is the number 14”. I figured the best way to help him to come to terms that numbers don’t just stop at 9 is to get his sister in on the action. Sure it’s sneaky but he loves to follow his big sister. 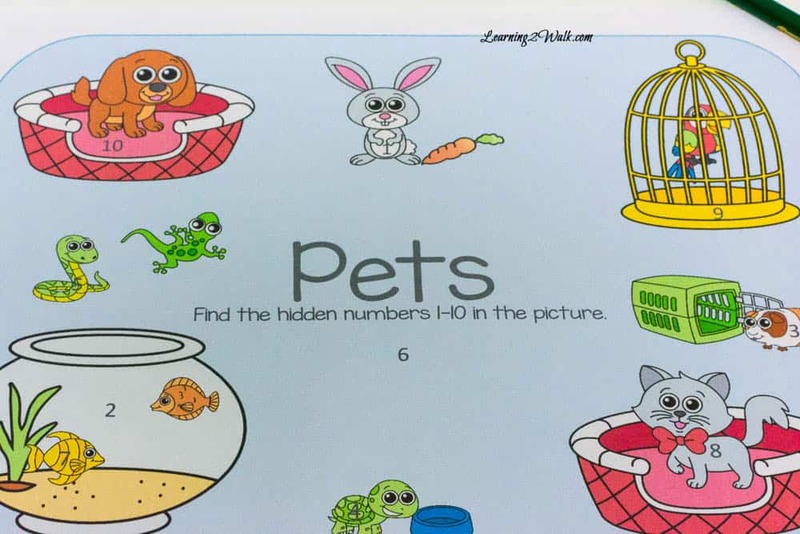 Print the Pets Find the Hidden Number sheet out on card stock or regular paper. Give your child a pencil or crayon. Allow them to find the numbers 1-10 in the picture. For every number they have found, they need to sing it out loud. My kids get a kick out of doing things differently. If you are conserving on ink (and who wouldn’t), there is a black and white version of the sheet included in the pack. Allow your kids to find the numbers and then color the pictures. You can also use a magnifying glass to make the activity even more enjoyable. A similar example is our Find the Letter Fall Clip Cards that J did last year. What a fun number hunt! Another fantastic idea and printable! Thank you!